Too early to tell about how it works in action.I'll throw on a cargo strap or two, though. Oh, ya gotta buy the lock-set as an extra . How handy is that? 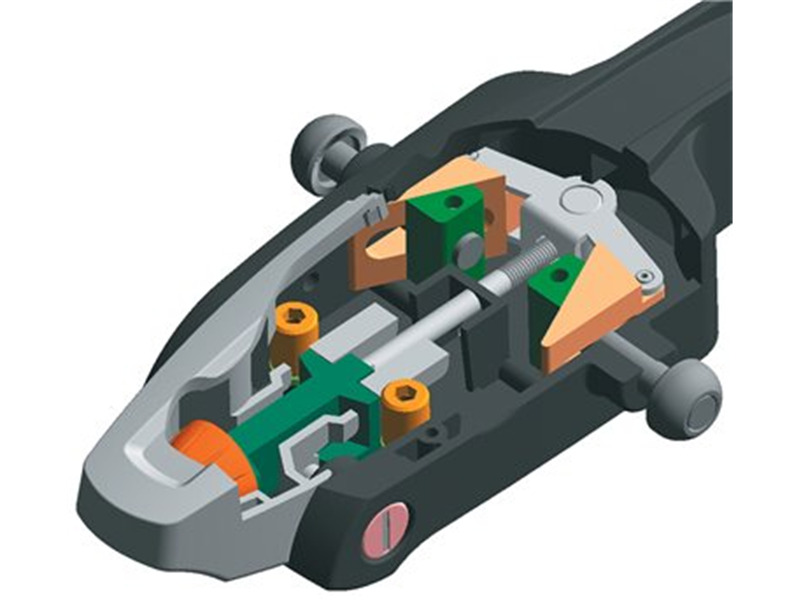 The mechanism that clamps the front fork is the best in the industry. Fast, easy, and effective. The clamp that holds the rack to the bar is an engineering disaster! If you're driving on a bumpy road, the tab that fits into the mount slips and and voila! You're bike is swinging back and forth barely held onto the rack. I thought it was a lemon with one rack, but it's happened to ALL four of my racks. This means that the rack is useless, except for driving on smooth, flat road. One bump, and it starts to fail. 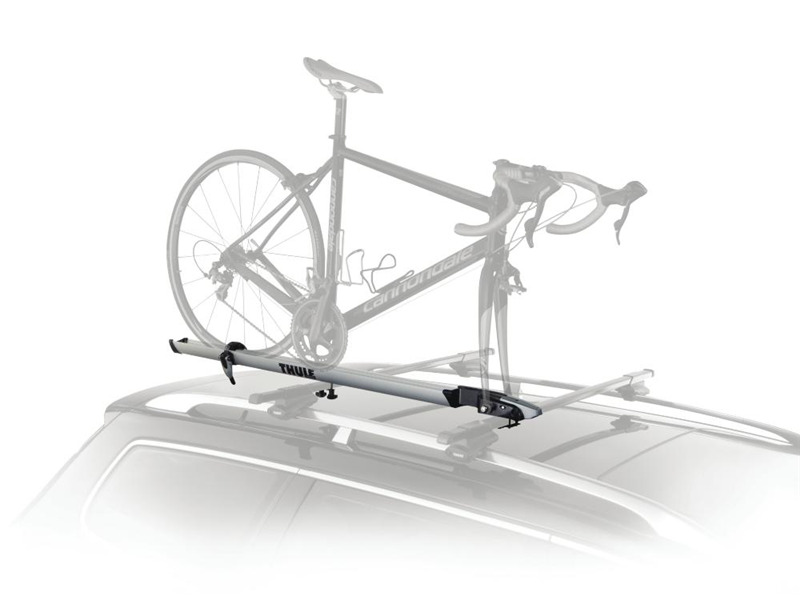 This is a design flaw and Thule should admit it, and come up with a fix. I have some ideas, but I want to see if they can figure it out first. 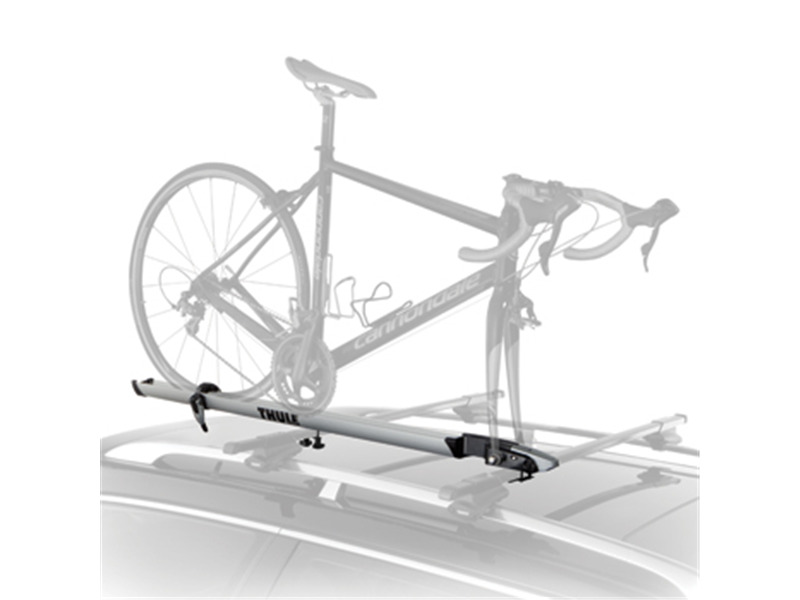 Do not buy this rack unless--or until--Thule fixes this problem. 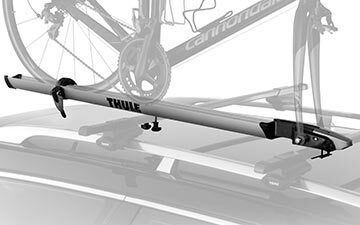 P.S., I have 4 slightly used Thule racks for sale. No guarantee that they'll work on your car rack. Great rack, I don't understand why everybody says it's weak, hard to install... By far the best for mounted carrier I have ever seen. People who can't understand how to install this must be the same king that find Ikea furniture impossible to assemble. The rear endcap can come off easily so I put some strip caulk to solidify it. This is the kind of rack that I'm not worried to take corners fast in my car with my expensive bike on the roof. Don't listen to all these reviews, this is the best rack. Solid construction, well built, lots lots of metal, no plastic, holds heavy bikes well. 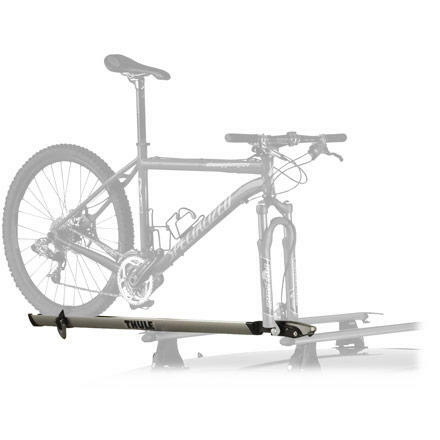 This is a solid, sturdy, all metal rack great for heavier bikes. My 30+ lb bike is rock solid on this rack thanks to its sturdy, stiff construction. So the problem with this rack is the clamping mechanism. Inside there is a turn knob to adjust clamping pressure, you then close the clamshell and the bike is clamped. The problem is that when you open the clamshell to remove the bike the skewers holding the fork don't release far enough to clear the safety tabs on the fork. This means that you have to then turn the adjustment knob to open them up more. The whole purpose of these is to not have to adjust them once they're set, with this one you would have to turn the knob every time you put the bike on and off which is a real pain in the neck. So I called Thule and they agreed that once adjusted you shouldn't have to turn the know to release the bike and the unit must be defective. So I returned it, got another and guess what...same problem. 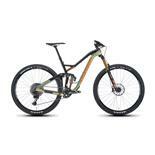 For the record this problem existed with my road and mountain fork. 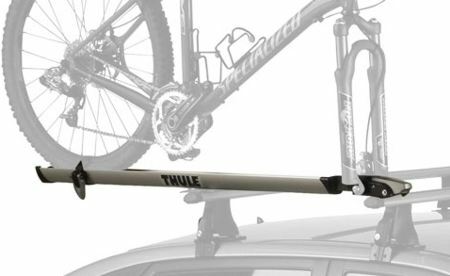 Thule is just not making any quality anymore. Bracket to hold fork end on rack, locking mechanism. I bought this rack about 1.5 years ago, because other fork mount carriers interfered with the bottom of the Fox fork legs. My old Yakima units that clamped the down tube did not work on the large and non-round shape of the bike down tube. The lock was often hard to turn, but I always got it. 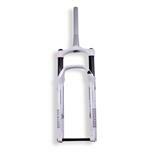 I was using the carrier on Yakima round tubes, and suddenly, twice in two weeks, the bracket at the fork end rotate loose as described in other reviews. The first time I thought I had installed in wrong. I had used it for over a year with no problem, but had recently taken it off and then reinstalled it. The second time I realized that it was not me forgetting to tighten the bolts. I called Thule, and described the problem. The rep said he had never heard of this problem before, but offered to send me a new bracket. The bracket took a full two weeks to arrive, so I guess Thule was not as concerned with my bike's well being as I was. They did not even include new bolts. In the interim, I read the reviews here, including Thule's description of the two problems at the top of the reviews. I decided that Thule was not quite telling me the truth, and I had lost all confidence in the carrier. So I returned it to REI, where I was told there had been a run of these returned. I will stick with Yakima from now on, as I have had very few issues, and I think the Customer Service is more proactive and honest. Looks cool- And I thought the fork vise worked well. As stated by some other reviewers here, the front carrier mount is very poorly engineered. All that holds the carrier to your crossbars is a flimsy metal bracket and two little screws. Do not buy it unless you plan to drive in a straight line only, on perfectly smooth roads. Zero thought went in to the front carrier mount. It's difficult to describe the exact mechanics, but the side-to-side leverage from a bike on the rack can easily cause the mounting bracket to fail, which is what happened to me on my second use. 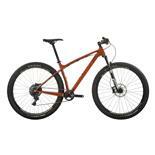 I promptly sent it back to Backcountry and purchased the Yakima "Viper", which should be a lesson in mechanical engineering for Thule. Top of the line, Thule? C'mon man! I own 2 of these racks and of the 2, one of them has some real issues with the lock cylinder. It takes allot of effort to operate the lock… So much so in fact that I have broken a key. I have seen this same issue occur in some other echelons! I believe the problem to be with the rack…not the lock cores themselves. Save your money…check out some other racks. Thule makes great stuff it’s just this particular tray I dislike. Does the job it's supposed to. Looks great. I've been using this carrier regularly for over a year and I have had absolutely no problems. The mounts hold well on my cross bars. I also have the locking cores and they work perfectly. I had one of the cores get a little sticky on my once, but once I added some light oil it was working well again. 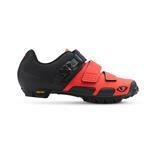 My only complaint would be that if you buy them new they are a bit over priced for what you get. They look better then other fork mount carriers but I doubt they work any better than equivlent carriers from rocky mounts, etc. 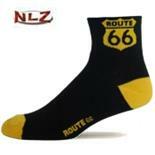 Overall I am extremely hapy with the product and would recommend them.